People have had a lot of success in fundraising for their Soundbeams. We have heard of individuals sitting in baths of baked beans, shaving their head and even walking the Great Wall of China! However you could try getting funding from the list below. Most of the organisations listed have at some time helped fund a Soundbeam purchase. Your local regional ‘Music Services’ may be able to purchase a Soundbeam for your use. If you are purchasing for a school, you could spread the cost among several departments as many people have used Soundbeam cross curriculum such as accompanying story telling in English lessons, motivating movement in P.E. and inclusion during music. Some of the recent funders - EMI Music Foundation, Wallace & Gromit Children's Charity, Music for All, funded in 2018 so far. Variety (north) and Lifelites both funded Soundbeams in 2017, either click on the logos or scroll down to see more funders and details. The AMBER Trust was set up to bring hope and fulfilment to blind and partially sighted children who have a talent or a love for music. The Awards are open to blind or partially sighted children and young people up to the age of 18, who may also have other physical disabilities and/or learning difficulties. Visit www.ambertrust.org/amber-music-awards/ and select your area to find out how to apply. Awards For All - Big Lottery Fund. Lottery grants of between £500 and £10,000. Projects can encourage a wide range of community, arts, sports, heritage, health, education and environmental projects. Funds are available for activities which bring people together, improve their quality of life, encourage them to take part in local activities and help groups to become well organised. WHO CAN APPLY? Any not for profit group, parish or town councils, schools, or health bodies. EXCLUSIONS Companies which aim to distribute a profit, statutory bodies not mentioned already, individuals. The Boparan Charitable Trust aims to help children and young people up to the age of 18, throughout the UK, who are disadvantaged either through poverty, disability or life-limiting conditions. We help children 16 or under with a wide range of neurodevelopmental disorders and conditions. The general areas we cover are listed below with a few examples of conditions that fall within the broader categories. If your child’s specific condition isn’t listed that doesn’t automatically mean we don’t cover it, if we listed every condition this page would go on forever! After reading this list, if you’re still unsure if we can help you please contact us. Children Today is the charity that raises funds to provide specialised equipment for children and young people with disabilities throughout the UK. Our aim is to ensure that every disabled child and young person fulfils their potential and leads an active childhood. Call on 01244 335622 to discuss your needs and request an application form. We do this by funding the charitable activities of organisations that have the ideas and ability to achieve change for the better. We take pride in supporting work that might otherwise be considered difficult to fund. Our primary interests are in the arts, education and learning, the environment and enabling disadvantaged people to participate fully in society. The Foundation provides grants up to a total of £1,500 towards the purchase of musical instruments and/or equipment for individuals who are in full time education and Schools who require the equipment to fund music education. We also fund courses and training opportunities for music teachers who work within schools. In order to apply for financial support you must complete our application form in full, providing us with the relevant evidence required. We are the UK's largest provider of grants to low-income families raising disabled and seriously ill children and young people. We help ease the additional pressures families face. We can help with essential items such as washing machines, fridges and clothing but can also consider grants for sensory toys, computers and much needed family breaks together. Applications for a Family Fund grant can be made by the parent* or carer* of the disabled child or young person. Young people aged 16 and 17 can make an application in their own right. Applications should be made per family. If you are making an application on behalf of more than one disabled child, please complete an additional child form for each child you are applying for. The Trustees recognise that music is seriously under-funded in the UK and will consider applications for support in those areas of music performance and education which do not readily attract backing from commercial sponsors or other funding bodies, or which are not eligible for public funding. Priority will be directed towards supporting the work or education of musicians based in, or wishing to study in, the UK, but by no means exclusively so. An important criterion will be whether, in the opinion of the Trustees, the funding sought will make a significant difference to the applicant's prospects. The Foundation recognises that there are already considerable public resources allocated to these two areas. However, it will be willing to consider support for projects which may not qualify for public funding or attract other major funding bodies. Contributions towards the running expenses of projects for a strictly limited period will be considered. A network for schools and wraparound childcare providers across England. Share knowledge, discuss issues, be inspired. We are a UK national children's charity established in 1961. Originally known as The Handicapped Children's Aid Committee, our working name has now changed to Lifeline 4 Kids. We help children throughout the UK and occasionally abroad. Our members work on an entirely voluntary basis and we have no paid staff or fundraisers. We grant magical wishes to children and young people aged from 3 to 17 living with a life-threatening condition. In the UK we’re continuing to face increasing social challenges, such as an ageing population and growing diversity within our local communities. Getting involved in music can present a wealth of opportunities – helping us to break down barriers; providing a variety of educational opportunities as well as helping us to find ways to integrate many diverse and minority groups positively into our society. Playing a musical instrument can provide a real sense of personal achievement or could allow parents to experience that unique feeling of pride – hearing and seeing their children perform. At MfA we’re passionate about helping people to find ways to understand and experience the enjoyment and benefits of playing music. Established in 1987 by the publisher and philanthropist Paul Hamlyn (1296-2001), Paul Hamlyn Foundation is one of the leading independent grant-making organisations in the UK. With UK programmes spanning the Arts, Education and Learning and Social Justice, and a programme of support for NGOs in India, the Foundation works to help people fulfil their potential and enjoy a better quality of life now and in the future. We create long-term partnerships between arts organisations and their local schools in disadvantaged areas through our funding programme, Start. We run large-scale national arts projects called Quests. Through our Catalyst teacher training programme, we empower teachers to feel confident bringing arts into the classroom. Our mission is to stimulate and support the creation and performance of new music throughout the UK and to ensure that this music is enjoyed by a wide audience. Over the past 10 years we have proved ourselves as a significant force in supporting pioneering musical activity. Since March 2000 we have supported over 4,000 new music initiatives to the tune of over £14 million. We do this through open grant schemes which are available to musicians and organisations four times per year and partnership programmes which we lead in response to specific needs and gaps in funding. Who is eligible? : PRS website states: If you're looking for funds to support your music activities please read all the information on our Funding pages and check out our Eligibility guide before contacting us. The Radcliffe Trust supports classical music performance and training especially chamber music, composition and music education. Particular interests within music education are music for children and adults with special needs, youth orchestras and projects at secondary and higher levels, including academic research. The Trustees respond to applications and also initiate their own projects. Who is eligible? 1. Applicant must be a registered charity or an exempt charity. 2. Applicant must be based in the UK. 3. Bursaries and other support for fees are normally paid to the education organisation. Universal Music UK Sound Foundation is an independent music education charity, established in 1997 to celebrate the centenary of EMI Records and to improve young peoples' access to music education in the UK & Ireland. Individual grants range from £100 to £10,000 and over 300 requests have been answered in the last three years. 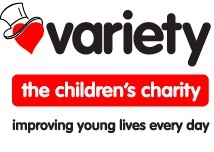 For individuals: Variety, the Children’s Charity, always welcomes applications from individuals with a specific need. For organisations: Variety helps suitable organisations in exactly the same way that we do individuals - any way we can. We provide day to day items to make the lives of those involved easier and as fulfilling as possible. For more information, please contact our Variety Youth Clubs and Grants Manager, Julie Thomas on 020 7428 8120 or email: grants@variety.org.uk. The list of funders and their criteria can change without notice.